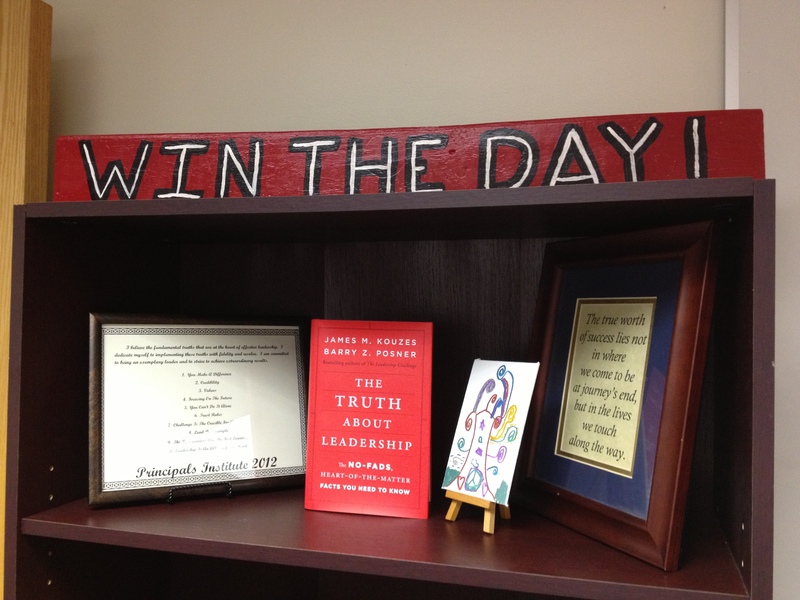 It seems like such a simple phrase, but “Win The Day!” has really become my mantra as a principal of a turnaround academy. I must admit that it was actually my son, Heath, that turned me on to this phrase and the importance of living it. Heath, at age 11, is a huge Oregon Ducks fan. 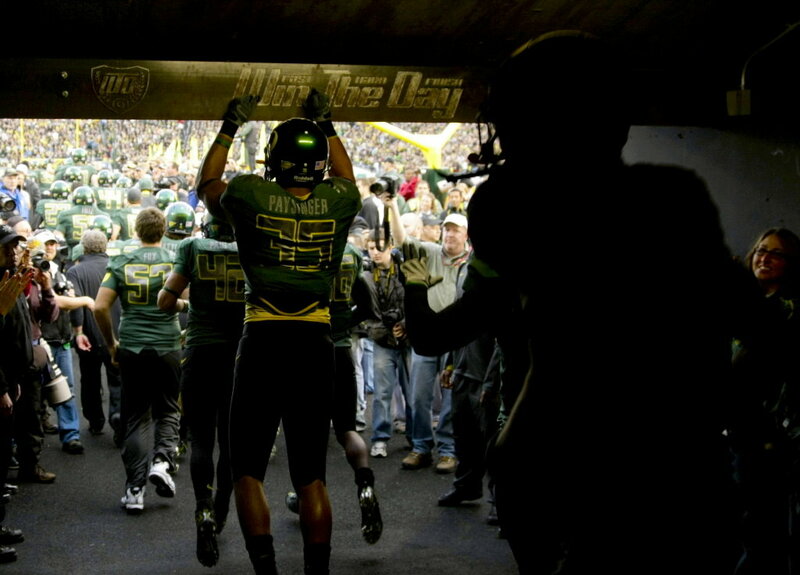 He even has a goal of playing for the Ducks, whose mantra is “Win The Day!” It really has even become a part of the University of Oregon football program. Heath has studied the program and has taught me what it means to them. ‘Win the Day” resonates with me, because to accomplish stuff, you have to focus on the day. As a leader, I need all of our team of teachers and staff to hone in like a laser on those things that we have control of and that we can do today. My most treasured item in my office is three foot piece of 2×4 that my son found in the garage and made into a “Win The Day” plaque for me. Heath painted it in Emmerich Manual High School colors. Trust me, I look at it every day. I even have teachers who come into my office and touch it like the Oregon Ducks players do.